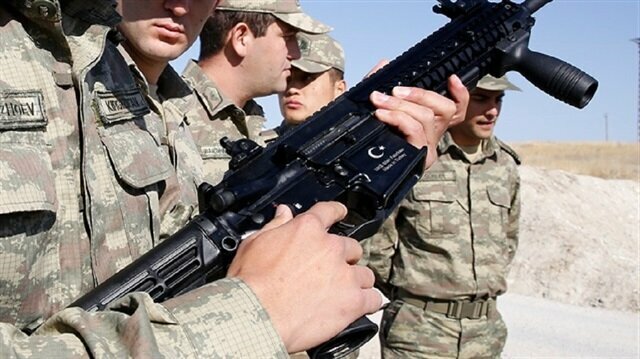 About 55,000 Turkish-made rifles will be delivered to the military in two years. Turkey's first domestically designed and produced MPT-76 infantry rifle is being used by Ankara’s allies. The state-run Mechanical and Chemical Industry Corporation (MKEK) and other defense industry companies have been given orders for mass production of the rifle. The rifle is currently in the inventory of the Turkish Armed Forces (TAF). The project was launched in July 2015, and 3,200 of the 200,000 rifle orders have already been delivered. The remaining rifles will be delivered in 2018. “The rifle has received serious interest from overseas, but our priority is our army,” said Mehmet Ocakcıoğlu, the MKEK Kırıkkale Gun Factory manager. 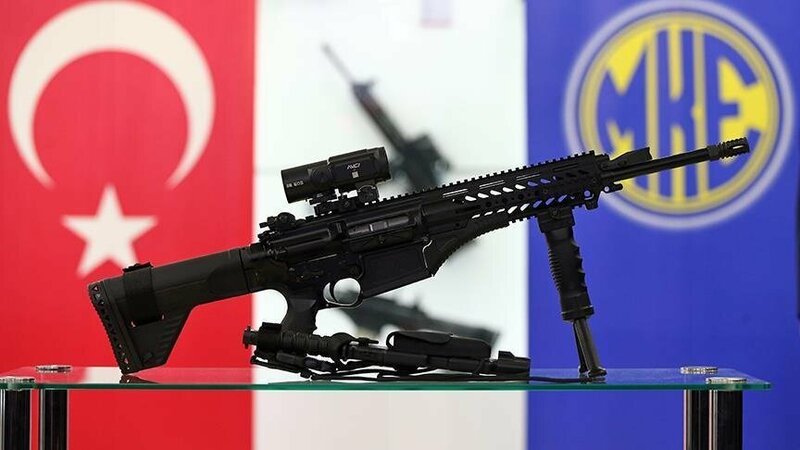 Turkey's first locally designed and produced assault rifle MPT-76 has begun serving the country's armed forces and allies. “In the second stage we will start working on 35,000 orders. We have delivered 3,200 rifles to the TAF so far, 500 of which were given to the presidency. Within 15 days we will deliver 3,600 more. We aim to deliver 55,000 MPT-76 rifles to the TAF within two years,” Ocakcıoğlu said. 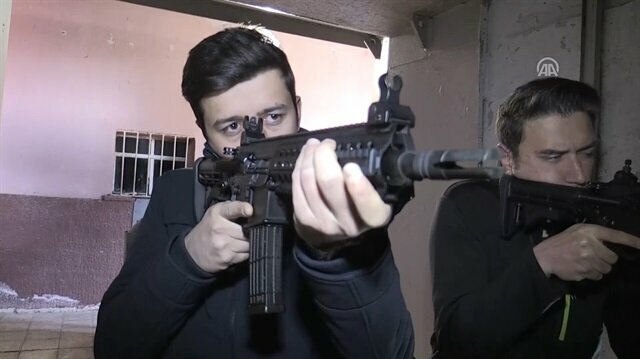 The MPT-76 was produced to replace the German G-3 rifles used by the Turkish Armed Forces, reduce dependence on foreign manufacturers and develop further weapons. The Turkish Republic of Northern Cyprus (TRNC) also added it to its inventory, and has ordered 2,500 rifles. “There is serious demand from Somalia. We delivered 450 rifles to Somalia in the first stage. Apart from Somalia, there is also serious interest from many other countries, including Azerbaijan. However in line with our capacity, the TAF is our first priority,” Ocakcıoğlu said. The rifle can be fired semi-automatic and automatically and its magazine capacity is 20 bullets. The MPT-76 can be customized through its rail system, meaning its compatible accessories - including night vision rifle scope - can be added or removed. 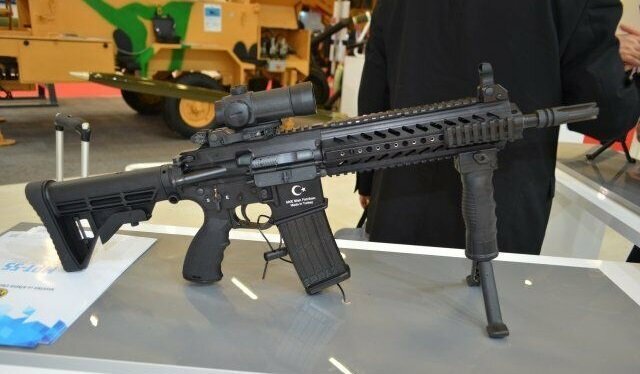 Ocakcıoğlu said that in addition to the MPT-76, the MPT-55 rifle would also be produced for police forces. "We will begin the production of the MPT-55 to distribute to our police forces. The MPT-55, which is more useful and practical than other weapons, weighs three kilograms and can fire 850 rounds per minute. It has a range of 400 meters, and is currently being used by police forces for testing purposes,” Ocakcıoğlu said.